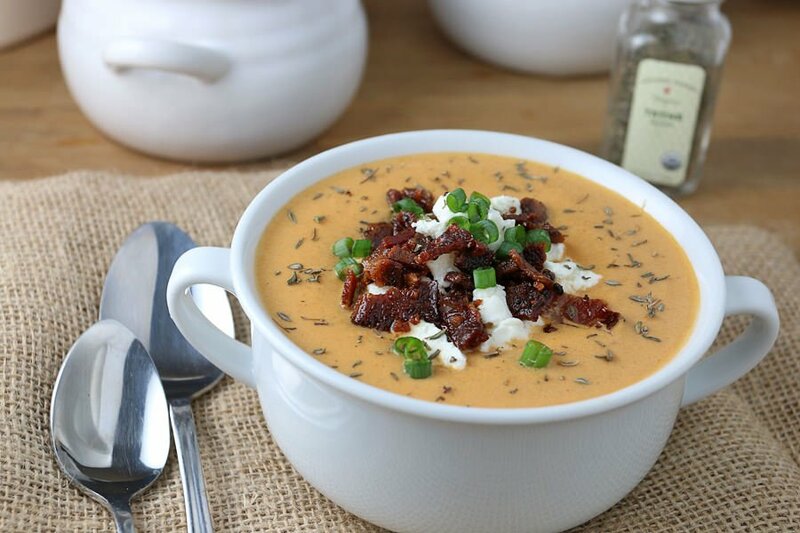 Soup season has arrived and this one’s definitely going to warm your bones. There’s snow storms and unseasonably cold temperatures just about everywhere in the north now, and I’ve been ready to dig into a bowl of soup all week. This is like a sophisticated version of tomato soup and grilled cheese – except without the bread. The tangy goats cheese really gives it another dimension at the end. And bacon? Well, bacon is fantastic on everything – as most of you already know! If you’re dairy free, you can easily use coconut milk instead of the heavy cream, but if you’re fine with dairy then make sure you don’t skip it. 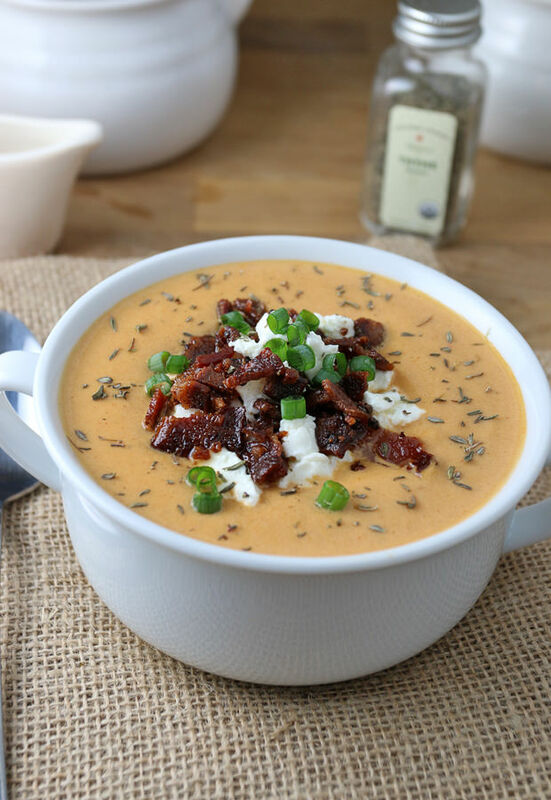 The creaminess that it adds just takes this soup over the top – bringing you comfort and happiness in a simple and easy to make soup. Join in with me and have a bowl yourself. 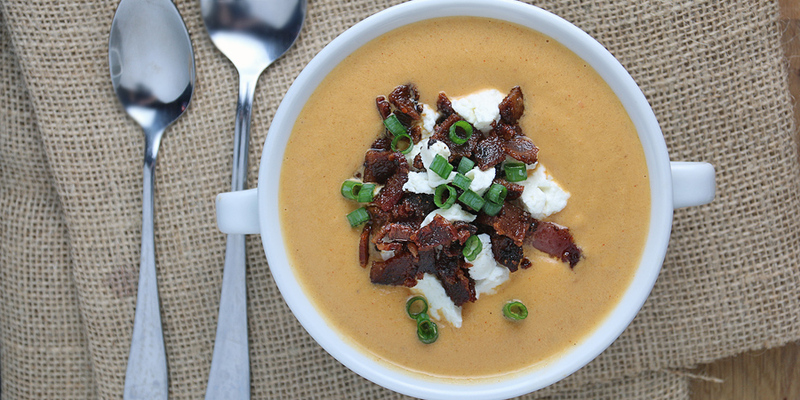 Roasting the red peppers and cauliflower bring a whole new dimension to this soup. 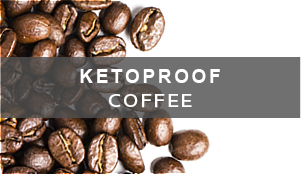 It’s rich with a slight spiciness to it, but not overpowering. 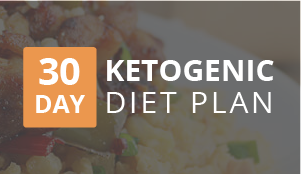 It’s a great starter to any protein-heavy meal, as it’s got a solid chunk of fats. And, best of all, the flavors of the vegetables really come out, giving off a hint of smokiness in each bite. Note: If you don’t have access to duck fat, you can use chicken fat or bacon fat. If you have neither of those, feel free to use butter. 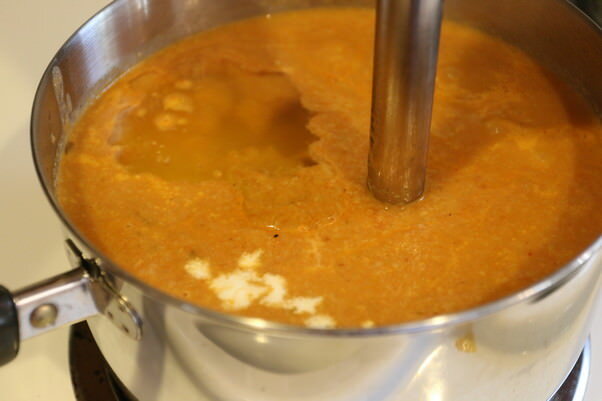 The fat will give a sense of richness and flavor to the soup that will really help it develop. Usually, you can find duck fat in co-ops or Whole Food-like stores. Call ahead and ask if they have it in stock or if you can request it. Mine cost about $7 per pound, so try not to pay too much more than that. Settle with chicken fat if duck fat is too expensive. 1. Put oven on broil setting. Slice peppers in half and de-seed them. Lay them skin side up on a foil-covered baking tray and broil for 10-15 minutes or until skin is charred and blackened. 2. 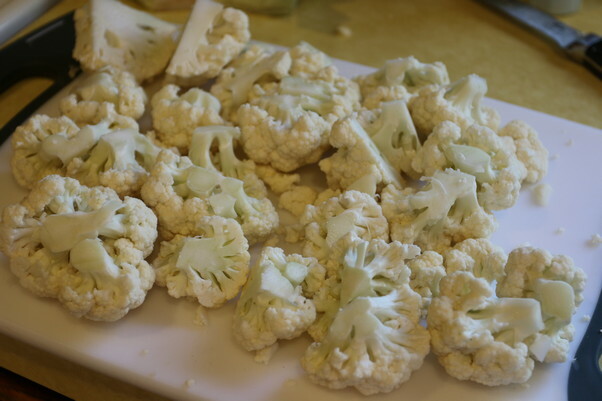 While peppers are broiling, cut cauliflower into florets. If the florets are large, cut florets in half or quarters. 3. 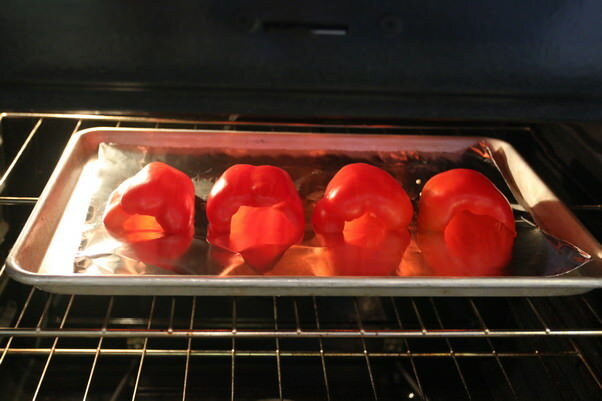 Once peppers are done, remove from oven and place in a container with a lid, or a food saver bag and seal. 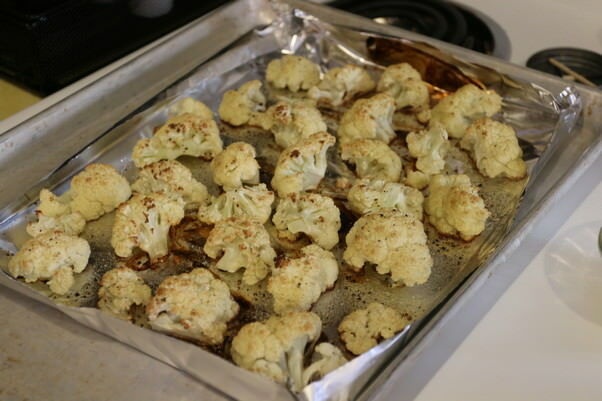 Let the peppers steam and cook longer to soften while cauliflower roasts. 4. 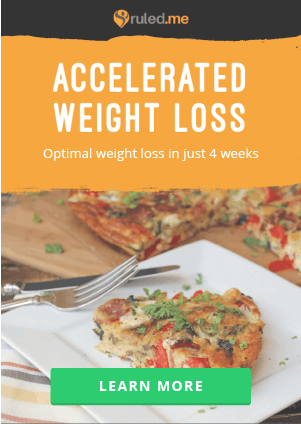 Use 2 tbsp. melted duck fat, salt, and pepper to season the cauliflower. Roast cauliflower in 400F oven for 30-35 minutes. 5. Remove the skins from the peppers by peeling it off carefully. 6. In a pot, bring 4 tbsp. duck fat to heat and add diced green onion. 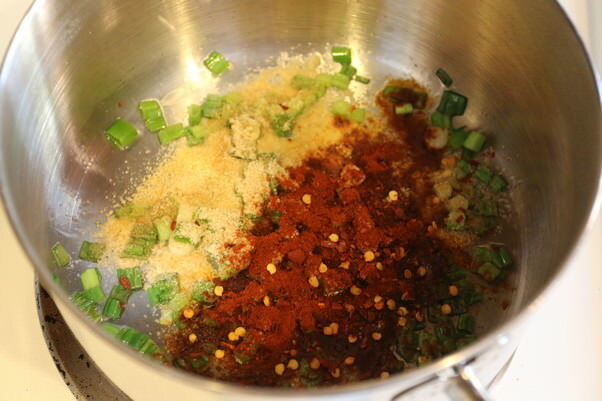 Once green onion is slightly cooked, add seasonings into the pan to toast. 7. 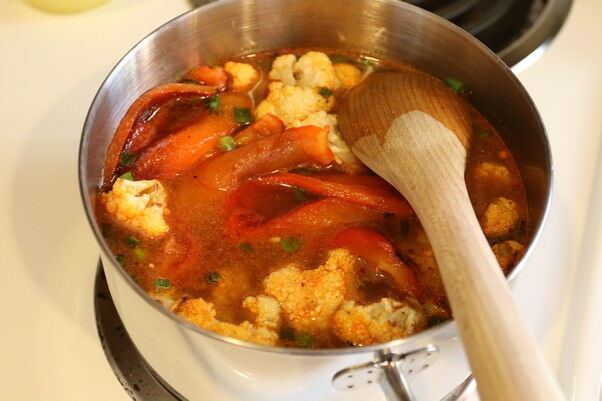 Add chicken broth, red pepper, and cauliflower to the pan. Let this simmer for 10-20 minutes. 8. Take an immersion blender to the mixture. 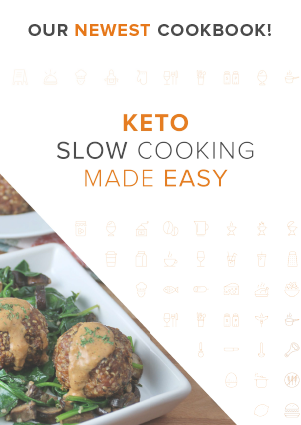 Make sure that all fats are emulsified with the mixture by the time you’re finished – about 1-2 minutes. Season to taste, then add cream and mix. 9. Serve with some crispy bacon and goats cheese. Garnish with extra thyme and green onion. This makes 5 total servings of Roasted Red Bell Pepper & Cauliflower Soup. 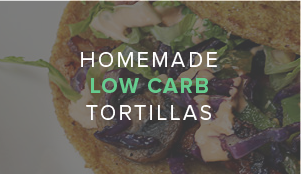 Each serving comes out to be 345 Calories, 32g Fats, 6.2g Net Carbs, and 6.4g Protein. Slice peppers in half and de-seed them. 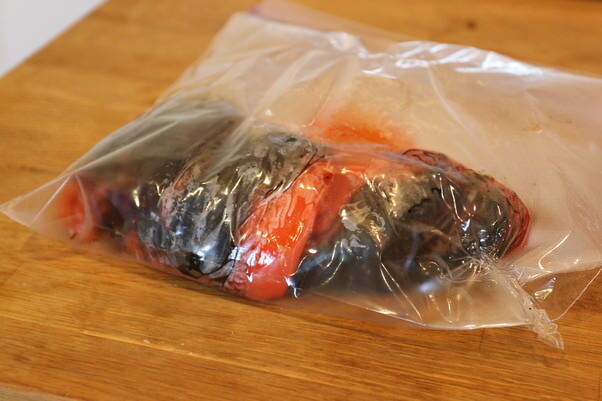 Broil for 10-15 minutes or until skin is charred and blackened. Once done, place in container with lid to steam while cauliflower cooks. Cut cauliflower into florets and season with 2 tbsp. melted duck fat, salt, and pepper. Roast cauliflower in 400F oven for 30-35 minutes. 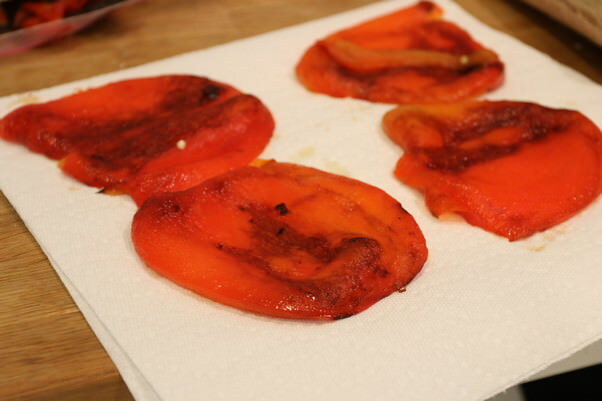 Remove the skins from the peppers by peeling it off carefully. In a pot, bring 4 tbsp. duck fat to heat and add diced green onion. Add seasonings into the pan to toast, then add chicken broth, red pepper, and cauliflower to the pan. Let this simmer for 10-20 minutes. Take an immersion blender to the mixture. 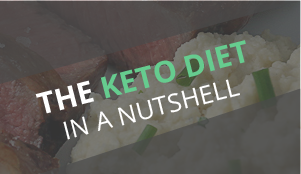 Make sure that all fats are emulsified. Then add cream and mix. Serve with some crispy bacon and goats cheese. Garnish with extra thyme and green onion. 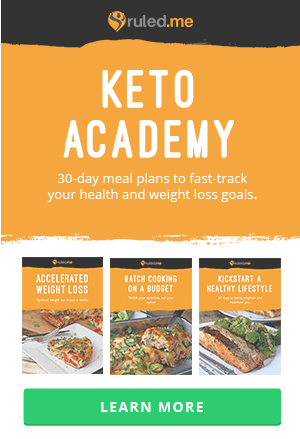 Turn your body into a FAT BURNING MACHINE with our exclusive meal plans!